Welcome to the Polish Village 2018! 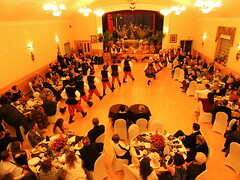 Exquisite folk dance performances, the best Polish cuisine, full service bar with the domestic and polish beer and more. Please join us: Friday June 15 – 5pm until Sunday June 17 – 10 pm at 1275 Langlois Ave.- rain or shine! The Carrousel of the Nations originated in June 1974, when the Arts Committee of Windsor, with the help of a $3,500 grant from the Ministry of Culture and Recreation, presented Windsor’s inaugural Multicultural Festival. The first Festival was held at St. Clair College’s Patterson Campus with 27 groups participating. It consisted of three days of folk arts, crafts and ethnic foods. The weekend’s finale featured a concert at the former Cleary Auditorium with eighteen groups performing to an audience of over 800. As the event was a tremendous success, it inspired what is known today as the Carrousel of the Nations. The following year, with the co-operation of the Freedom Festival Committee, a downtown bazaar was held in the Cleary Auditorium parking lot featuring fourteen ethnic food booths and a large exhibit of cultural artifacts. In 1976, the Ontario Government announced a cultural grants program inviting groups to submit their proposals for the “Cultural Olympics”. Formal planning began in February 1976 and the weekend of June 18th was confirmed as the first Carrousel weekend in the City of Windsor. In 1974, the Polish Alliance of Canada, Branch 20 Windsor, joined the Multicultural Council of Windsor and Essex County (MCC). Mr. Wieslaw Bielecki, the group’s President, attended regular MCC’s meetings where he also served on the Board of Directors (1976-1978). Mr. Bielecki supported and encouraged Polonia’s participation in the first Carrousel in 1976. At the time, the hall owned by the Polish Alliance was rented to a local business, so the members approached the Executive of the Polish People’s Home Association (“Dom Polski”) with a proposal to jointly host the first Polish Village. Dom Polski was located across the street from Lanspeary Park and was the largest of the three Polish Halls located on Langlois Avenue at the time, therefore, it was the perfect location. 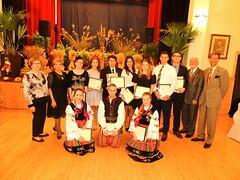 The Polish Alliance of Canada, together with Dom Polski, each contributed $500.00 for the start-up costs of the first Polish Village held on the weekend of June 18th, 1976. A cultural grant of $1425.00 was received from the Ontario Government through the Multicultural Council of Windsor for the event. The Committee members of the first Polish Village were Wladyslaw Szpak (President), Tadeusz Polewski (Financial Secretary), Zenon Kalinowski (Recording Secretary), and Kazimierz Tarnowski (Kitchen). 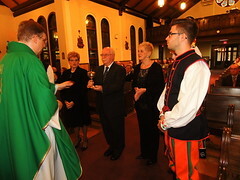 They were all members of the Polish Alliance of Canada, Branch 20 Windsor. Two small food booths were set up in Lanspeary Park; one sold baked goods and the other BBQ sausages and hamburgers. Hot Polish food was sold directly from the downstairs kitchen at Dom Polski. Beer and alcoholic beverages were only sold from the downstairs bar. For entertainment purposes, a small wooden dance floor was rented and set up in Lanspeary Park, directly across from the main stairs of Dom Polski. 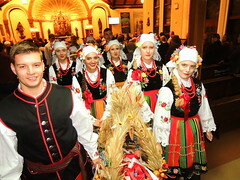 The main attraction was The Tatry Song and Dance Ensemble joined by the youth Band “Polonez”. 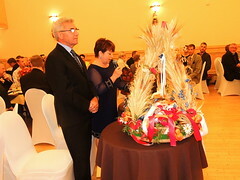 A cultural display entitled “Poland – The Country between East and West”, was set up in the main hall of Dom Polski. The first Polish Village made a profit of $1088.00 which was evenly split between the two organizations – Polish Alliance and Dom Polski. In 1977, the Polish Alliance and Dom Polski again contributed $500.00 each to hold the second Polish Village. The Committee Members remained the same. Working on the success and lessons learned from the first Polish Village, a profit of $3184.00 was made. It was also decided that the monies remain in a fund held by the newly formed Carrousel Committee for 1978 and that elections of a new Carrousel Committee were to be held annually. In 41 years of existence, the Polish Village has had 14 elected Presidents and 41 Organizing Committees. Thousands of volunteers assisted in setting up food booths, dance floors, stage, lighting, preparing and serving food, bar tending, ticket selling, security, preparing and setting up the cultural display, entertaining and of course cleaning up throughout the Village’s three days of festivities. In 1987 and 1988, a second weekend of the Polish Village was held in the main hall of The Polonia Centre on Forest Glade Drive at Lauzon Parkway. Kazimierz Tarnowski was in charge of the Kitchen for the first 10 years and so it fell upon him to decide what would best be served at such an event. Every aspect of preparing and serving food to a crowd of an undetermined size had to be attended to. Accompanied by his wife and family, they visited several Polish Festivals in Michigan and Toronto to obtain ideas that could be successful at the Polish Village. Mr. Tarnowski was very handy as well as inventive and made and/or purchased much of the items required. The first menu was simple; homemade pierogi, cabbage rolls, sauerkraut and fresh kielbasa from Prashek’s. Approximately 1000 pierogi were hand-made by a group of volunteers in Mr. Kazimierz (Malwina) Tarnowski’s basement. They were par-boiled, frozen and transferred to a used chest freezer at Dom Polski purchased for their purpose only. Cabbage rolls and sauerkraut were made fresh in the days prior to the event. Eventually, the dough for the pierogi was prepared at Blak’s Bakery (owned by the family of Peter and Elsie Blak) and delivered to the kitchen at Dom Polski, where up to 30 volunteers rolled out the dough and hand filled the pierogi. For over 30 years, pierogi were made by hand, which was a tremendously long process and it took several weeks to make thousands of these little delicacies. They are now purchased from a Polish food processor in Toronto. Even though they are machine made, our pierogi are still delicious with the right amount of fried butter and onions and a dalop of sourcream. Over the years, different items were added to the menu but either they weren’t popular, or in the case of potatoe pancakes, were not practical to make for such a large crowd. As the success of the Village grew, so did the quantities of food required. It was common to have long lines form through the bar as patrons waited to order their meals directly at the kitchen door. This necessitated the set-up of a tent in the parking lot to accommodate the diners and for protection from the rain. The food station was also moved to the tent to make it more accessible. Mr. Ted Gorski of Gorski Bulk Transport has annually donated the use of a huge refrigerated truck to hold the prepared foods and beverages (mostly beer). As all good festivals, the Polish Village is unique in the beverages that are served and, as the popularity of imported beer grew, our festival goers came to enjoy Polish beer such as Tyskie and Zywiec, along with the standard Canadian brands. The Tatry Song and Dance Ensemble have been part of the Polish Village since 1976. Wearing authentic traditional Polish costumes, the dancers are proud to present the Polish folk dances that they have learned throughout the year. There is always a lot of excitement before the first concert, especially with the youngest performers. Over the years, we have also welcomed other ethnic performers at the Polish Village – Hindu, Ukrainian, Slovak, Turkish, German, Irish, Italian and Mexican dancers, just to name a few. 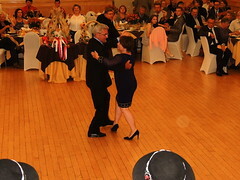 A Gala Concert has always been held on Saturday night featuring the Tatry dancers and, on occasion, Polish guest performers from as far away as Toronto and Chicago resulting in the most anticipated part of the three day festival. For 10 years, the Polish Vocal and Theatrical Group “Plomien” provided a unique and unforgettable performance with popular Polish songs and dance routines from the past. Local individual performers of Polish origin have also been featured. Lanspeary Park provided a most unique setting for “dancing under the stars”. After the cultural performances, live bands took to the stage on Saturday and Sunday night and everyone danced to the Polish music of Marian Jaryszek and the “Majestics” or John Lewicki and “The Polka Dellics” among other local Polish bands. In recent years, we dance to the music of Zygmunt Bak and other Polish DJ’s. When the City of Windsor by-laws changed, the stage and dance floor were moved out of Lanspeary Park and set up in the vacant space behind Dom Polski. Since the first Polish Village in 1976, the main hall of Dom Polski has always been the location of a beautiful, creative and artistic cultural exhibition with a different theme each year. Exhibitions have been prepared by the Polish Ursuline Sisters with lots of help from dedicated volunteers. For years Sister Maris Komorska was in charge of planning out the entire display. In 2010, this job was taken over by Mrs. Danuta Siniarska, a dedicated local artist. The success of this exhibit would not be possible without the hard work and dedication of many volunteers throughout the years: Maria Uszynski, Zofia Belczowski, Danuta Pogorzelska, Maria Filarska, and Elzbieta Stepniak. Through the years, the Polish Village received many awards and recognitions for our exceptional cultural exhibit. 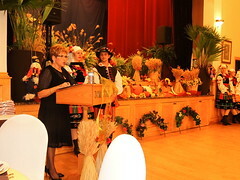 To name just a few of the most recent ones, the Polish Village received the following: “Overall Best Theme Village” (2010), “Best Theme Village” (2011), and “1st Place in Recognition of Valuable Contributions to Carrousel Around the City” (2012, 2013). 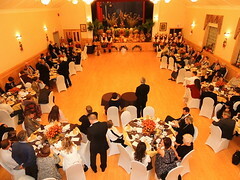 The Carrousel Committee of 1992 set up a fund in order to promote and support Polish culture in Windsor using monies earned at the Polish Village. The fund was incorporated in the Province of Ontario with the assistance of Mr. John Jedlinski, a practising lawyer in Windsor of Polish descent. Mr. Jedlinski waved his legal fees in this process. 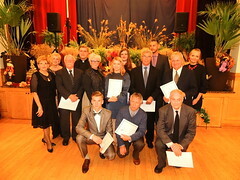 Members of the Carrousel Committee elected for the 1992/93 season became the first Board of Directors of the fund (Stanislaw Niec – President; Grazyna Janik – 1st Vice President; Jozef Wroniak – 2nd Vice President; Edward Chemel – Financial Secretary; Barbara Koczwara – Recording Secretary; Honorary Directors: Father Peter Sanczenko – Pastor Holy Trinity Church and Sister Magdalena Budniak – Sister Superior of the Polish Ursuline Sisters). Consecutive elected members of the Carrousel Committee continue to help Polish Organizations and youth groups with annual donations. In 2012, the Polish Village applied for and received a grant from the Ontario Trillium Foundation in the amount of $125,500.00. The money was used to completely renovate and buy new equipment for Dom Polski’s kitchen. The efficiency and the equipment in this kitchen are crucial to the success of the Polish Village in the preparation of the meals sold to the multitude of patrons who visit us yearly. Photographs of the early years of the Polish Village are hard to come by. In recent years, more individuals were able to capture Carrousel moments through pictures and video recordings. The first professional recording of the Polish Village was made by Mr. Peter Niemasik. For many years, Mr. Stanislaw Wojcik recorded the whole event on a completely voluntary basis. Additionally, the Polish Ursuline Sisters have kept detailed records of each Carrousel since it first began. The Polish Village has always been, and will strive to continue to be, one of the most popular Villages in the Carrousel of the Nations. With the continued dedication of our volunteers, eager performers and loyal patrons, we look forward to sharing our rich heritage and Polish cuisine with the residents of the City of Windsor for many years to come. Resources: Multicultural Council of Windsor and Essex County webpage; Minutes and Financial Records of the Polish Alliance of Canada, Branch 20 Windsor; Carrousel Committee Records; Minutes of Tatry Song and Dance Ensemble Windsor.